Let’s Go to Vegas Baby!!!! If you love lights, great food, amazing shows and of course gambling then you'll want to enter all of these giveaways in hopes of winning a trip to Vegas baby!!!!! Each trip has it's own unique aspects. They can include airfare, deluxe rooms or even show tickets. So you choose which trip you would like to win most! There is so much to do in Vegas that it's hard to ever be bored. There is a little bit of everything in Vegas and even a family, or those that don't like to gamble can have a blast! Enter to win a trip for winner and one guest to Las Vegas sponsored by the Aria hotel. Approximate Retail Value (“ARV”) of Grand Prize: $8,100. If that is not your cup of tea, then you can enter to win a trip to see Reba and Brooks and Dunn in concert. 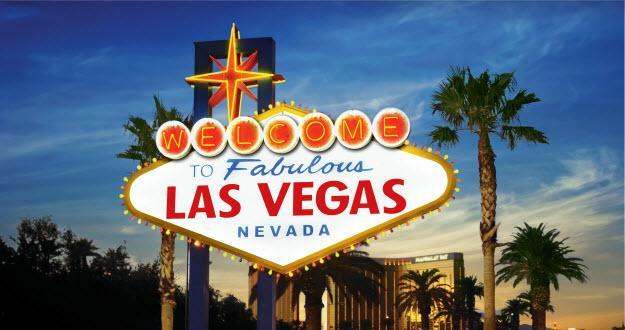 Enter to Win Two (2) round-trip coach airfare tickets to Las Vegas. Two (2) nights hotel accommodations. Two (2) tickets to see Reba and Brooks & Dunn in concert. Dinner for two (2) at a participating restaurant at Caesars Palace. Ground transportation to and from airport and hotel in Las Vegas.The approximate retail value (“ARV”) of the Grand Prize is $2,320.00. If these sweepstakes don't just out at you just know we have a HUGE list of Vegas trips that are up for gras! Enter now!